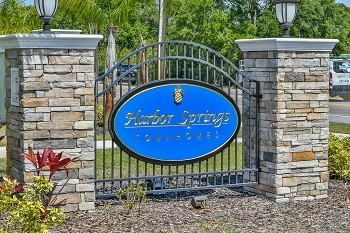 Harbor Springs is a newer maintenance free townhome community in Palm Harbor, FL, conveniently located across from Pinellas Trail and Innisbrook Golf Resort, with access to the highly rated Pinellas County schools. Community amenities include a community Pool and Cabana, and low HOA dues. Individual townhomes feature block construction, appliance and upgraded lighting packages and Granite Countertops in all Bathrooms and the kitchen. Harbor Springs is a fantastic north Pinellas County location, which offers easy access to shopping, dining, beautiful beaches, golf courses, marinas, great fishing, and more. Easily travel anywhere in the Tampa Bay area for work, school, or leisure. Travel via the Tampa International Airport or the St. Pete–Clearwater International Airport is just a short drive. For more information on the townhouses for sale in Harbor Springs, contact our office today! Selling your home in Harbor Springs? Don't put yourself through the stress of selling your home on your own. At Lipply Real Estate, we're here to ease the process for you and get you the best deal at the end of the day. Our talented agents are always here and ready to work with you! Call today and speak directly with an agent or enter your information in the form below.